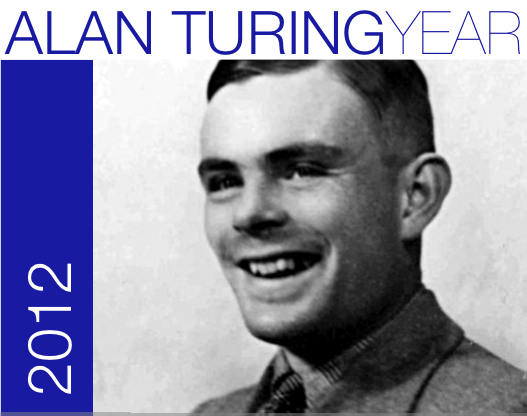 To celebrate the centenary of Alan Turing's birth, AAAI-12 will feature several special events, including the ACM A.M. Turing Award Lecture, the inaugural AAAI Turing Lecture, celebrating an individual who has made significant practical or theoretical contributions to Alan Turing's vision of building artificial intelligence, and a performance of "Hello Hi There." Judea Pearl, professor of computer science at the University of California, Los Angeles, was recently named the recipient of the 2011 ACM A. M. Turing Award for fundamental contributions to artificial intelligence through the development of a calculus for probabilistic and causal reasoning. Pearl has chosen AAAI-12 as the venue to deliver his Turing Award Lecture. This lecture is open to all conference participants and ACM members. Judea Pearl will review concepts, principles, and mathematical tools that were found useful in applications involving causal and counterfactual reasoning. This semantical framework gives rise to a coherent and friendly calculus that unifies several approaches to causation and resolves long-standing problems in the empirical sciences. The mechanization of counterfactual reasoning amounts to passing a mini "Turing test" in causal conversations. Its application in the empirical sciences unveils several opportunities and limitations of the "big-data" enterprise. Judea Pearl is a professor of computer science and statistics at the University of California, Los Angeles. He is a graduate of the Technion, Israel, and joined the faculty of UCLA in 1970, where he currently directs the Cognitive Systems Laboratory and conducts research in artificial intelligence, causal inference and philosophy of science. Pearl has authored three books: Heuristics (1984), Probabilistic Reasoning (1988), and Causality (2000, 2009), and is member of the National Academy of Engineering, and the American Academy of Arts and Science. He is the recipient of the 2008 Benjamin Franklin Medal for Computer and Cognitive Science and the 2011 David Rumelhart Prize from the Cognitive Science Society. In 2012 he received the Technion's Harvey Prize and the ACM A. M. Turing Award. Christos Papadimtriou is the C. Lester Hogan Professor of Electrical Engineering and Computer Science, Computer Science Division, University of California at Berkeley. Before joining Berkeley in 1996 he taught at Harvard, MIT, Athens Polytechnic, Stanford, and the University of California, San Diego. He has written five textbooks and many articles on algorithms and complexity, and their applications to optimization, databases, AI, economics, evolution, and the Internet. He holds a PhD from Princeton (1976), and honorary doctorates from ETH (Zurich), Athens Polytechnic, and the Universities of Macedonia, Athens, Cyprus, and Patras. He is a member of the Academy of Sciences of the US, the American Academy of Arts and Sciences, and the National Academy of Engineering, and a fellow of the ACM. His novel Turing (a novel about computation) was published by The MIT Press in 2003, and his graphic novel Logicomix (with Apostolos Doxiadis) was translated in more than 25 languages. Performance of "Hello Hi There"
"Hello Hi There" uses a famous television debate between the philosopher Michel Foucault and linguist and activist Noam Chomsky from the 1970s as inspiration and material for a dialogue between two custom-designed chatbots. In every performance, these computer programs, designed to mimic human conversations, generate a new — as it were, improvised — live text. The original television debate will itself be screened before the performance at 2:25–4:15 PM. As Chomsky and Foucault debate language, creativity, the roots of scientific discovery and the nature of political power, the chatbots talk on, endlessly circling the questions of the debate, and frequently veering off into unexpected, at times nonsensical, digressions. Purposely low-tech, the chatbots remind us of the optimism of the late 1960s and early 1970s, when natural language programming was thought to soon crack the code of human language production. This optimism in the face of repeated failure echoes the dynamic in the politics of Chomsky and Foucault — reflecting a similarly fading optimism in the possibility of people to remake our world. There will be a question and answer session on Thursday, July 26 with Annie Dorsen, the creator of the show. Hello Hi There premiered at the streirischer herbst festival (Graz), and has been presented at Black Box Teatre (Oslo), BIT Teatergarasjen (Bergen), Hebbel am Ufer (Berlin) and PS122 (New York). Additional commemorative activities are planned. Details will be posted here soon! For more information or suggestions of other ways to celebrate Alan Turing's centenary at AAAI 2012, please contact the Turing Track organizer, Toby Walsh.